Bulgaria’s recently reelected Prime Minister, Boiko Borisov, announced at the beginning of December last year, that he is putting his support behind a project to transform Bulgaria into one of Europe’s natural gas hubs. The proposal, made during a cabinet meeting, came just days after the cancellation of South Stream, which represented a great loss for Russia-friendly Bulgaria, which had aspirations to improve its economy with the help of the jobs and contracts that would have been awarded as part of the project’s construction. The Bulgarian government sent a formal proposal to the European Commission just a few days later. The proposal was welcomed in Brussels and the Vice-President responsible for Energy Union, Maros Šefčovič, along with the Commissioner for Climate Action and Energy, Miguel Arias Cañete, met with Borisov and his Deputy Prime Minister Tomislav Dontchev on 12 January 2014. The current Commission’s priority is building a coherent Energy Union to ensure affordable and secure access of all EU Member States to sustainable energy sources, so Bulgaria’s initiative is seen as a first step in the right direction. Bulgaria’s plan and its overall efforts to find a solution to rid itself of dependence on Russian gas, also met with support from the US with the January 15 visit to Sofia of Secretary of State John Kerry. Washington is to send an energy envoy to Bulgaria to help Sofia figure out its projects, in what is probably a strategy to keep Bulgaria engaged with Western partners in the face of Russian pressure or even retaliation. Western support could also be gathered from the visit of British Foreign Secretary Philip Hammond to Sofia on January 14 and the expected visit of NATO Secretary General Jens Stoltenberg by the end of the month. The problem is that not much is known at this point about Bulgaria’s concrete plan to become a natural gas hub for the region. What can be understood from Borisov’s very vague explanations is the intention is to build a gas storage facility on the Black Sea shore, in Varna, the same spot where South Stream was supposed to cross from water to land in Bulgaria. The European-scale facility is to serve as distribution point towards Serbia, Greece, Croatia, Slovenia, Hungary, Austria, Italy, Romania, the Republic of Macedonia, and even Ukraine. However, given the current state of play in Bulgaria’s energy sector, as well as its poor track-record on keeping up with EU standards, the goal is not only ambitious, but also unrealistic at this point. Several factors must be considered, the main one being where Bulgaria is going to find the necessary gas sources. With current domestic production almost non-existent at 0.079bcm per year, covering less than 15% of domestic consumption (the rest, up to 3.5 bcm per year, is covered from Russia, with all volumes going through Ukraine), Borisov’s hope goes towards Bulgaria’s yet untapped Black Sea deposits, estimated at up to 100 bcm in the Khan Asparuh exploration block. But the current oil price slump pushed the consortium in charge of the project (France’s Total, Austria’s OMV and Spain’s Repsol) to postpone the start of drilling until 2016, from the previously set date in mid-2015. Furthermore, the Silistar and Teres blocks have not even begun research for extraction yet, with the government having opened a tender for their exploration in December last year. A previous tender for the Teres field already failed for lack of bidders, so it remains to be seen whether the current one will be a success, given the oil price slump. Another source Borisov cited, the gas coming from Azerbaijan’s Shaz Deniz II field through the Trans-Adriatic Pipeline (TAP), could be tapped into by Bulgaria, but only if the Greece-Bulgaria Interconnector (IGB) is built. So far, a Memorandum of Understanding has been signed between TAP representatives and ICGB, the company in charge of the IGB, while a final investment decision is expected in the first half of this year. Even with a rush on the construction of the 183 km pipeline, the 3 bcm/year (upgradable to around 5bcm/year) of natural gas it is to carry will not suffice to turn Bulgaria into a hub. Moreover, construction of interconnectors has not been Bulgaria’s strong suit in recent years. It is already taking Sofia (and Bucharest) more than three years to complete the Romania-Bulgaria Interconnector, after an initial estimate of one year. Deadlines keep extending on account of unreliable construction companies and technical difficulties, the latest of which was encountered just in November of last year, pushing the completion to a yet unspecified time. All this for a mere 25 km long pipeline, with just 1.5 bcm of natural gas per year to flow from Bulgaria to Romania, and 500 mcm/year the other way around. Romanian gas to supply the supposed Bulgarian gas hub is, therefore, not only elusive, but also insufficient. Russian gas, therefore is the only source likely to fill up the Varna deposit, bringing Bulgaria essentially to the same point where it started – dependent upon Russian gas. Only this time dependency will refer to more than just domestic supply. If Bulgaria was able to wither the 2006 and 2009 gas cuts (albeit with costs for the industry estimated at €200m in 2009 alone), any decision by Moscow to cut supply going to a gas hub would entail damage of the entire regional market that Bulgaria aims at influencing. Bulgaria would, therefore, do nothing more than up the stakes for itself if Moscow is ever to go against it. So, unless Sofia figures out a way of becoming the first gasless gas hub, it is essentially setting itself up for failure. The second issue to be considered refers to policy. One must keep in mind that creating a gas hub is essentially the creation of a marketplace for natural gas. As pointed out by the European Commission, apart from infrastructure, this entails transparency, liquidity and non-discriminatory access to suppliers and customers, which can only be achieved if full liberalization of gas markets is successful. For this Bulgaria needs to be able to ensure free competition in the energy sector, freeing itself of hazy decision-making procedures when it comes to gas projects and policies. Bulgaria’s tradition, however, is to import through a sole public supplier, Bulgargaz EAD, fully owned by the state through the larger Bulgaria Energy Holding. The only Transmission System Operator in the country is Bulgartransgaz, which owns and operates both existing pipelines and the country’s only underground gas storage facility in Chiren. Quickly shifting to a free market will not be a breeze. For one thing, it might be that Borisov is attempting, and Brussels is encouraging, to show some teeth in regard to Russia, after long being put on the spot because of South Stream. Should that be the case, however, why is the government not also looking at other potential domestic resources to improve the country’s bid to becoming a hub? Lifting the ban on shale fracking would have shown that Bulgaria means business and is truly keen on becoming independent from Russian gas, by all means necessary. Borisov, however, reconfirmed the country’s ban just this month, in the context of gas hub talks. According to analysts, anti-shale protests in Bulgaria came at the hand of “local corporate, oligarch and economic interests connected with Russia”. Moving on to a less bleak scenario, it could be that Borisov is merely trying to capitalize on the demise of South Stream by finally getting some attention (and financial support) from Brussels. If this is the case, the initiative should be welcomed, as it has been far too long that newer states have not had much say in the EU’s policies. However, it begs the question: if the Bulgarian government is serious about building a hub, why is it not providing more technical and concrete details about the project, about its timing or its costs. The answer to this question brings the most likely of explanations for Borisov’s proposal: it was mostly aimed at his domestic audience, with the new government trying to gain public support, since energy security has just recently made to the public agenda and is likely to hit a nerve with the people. Bulgaria is probably also trying to replicate Poland’s play in the big leagues for the same purpose of gaining more support at home. This explains both why plans remain vague, and why Borisov is not more concerned with realistic sources of gas supply. As for the future of the project, the EU will most likely provide funding for the storage facility as well as new pipelines or interconnectors. Bulgaria desperately needs any help it can get and Brussels will most likely be very supportive of diversification projects. 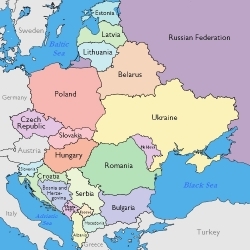 The Commission will release in the first quarter of the year, a plan to accelerate cross-border interconnections, and Bulgaria’s project will likely be on it. However, Bulgaria has, in the past, proven that personal interests of politicians trump national interests, the appointment of media magnate Delyan Peevski as security chief being just one of them. That is why it is hard to believe that it will be able to bring such a long-term endeavor to a successful end. We can conclude, then, that even if no true gas hub emerges, halfhearted projects (such as new pipelines or gas storage) have every chance of becoming reality, as long as they don’t commit governments for too long and enjoy the financial support of the EU. Anca Elena Mihalache is a Senior Analyst with the Energy Policy Group, a Romanian think-tank specializing in energy security. Prior to this she worked for three years as an Adviser in the Department for Strategic Affairs and International Security within the Romanian Presidential Administration, where she conducted research and analysis of political and economic issues, with focus on the European Union, the Wider Black Sea Region and Central Asia. See also her earlier article for Energy Post: South Stream is Dead, Long live South Stream, published on 12 January 2015. This is a must-read analysis of the implications of Russian’s cancellation of the South Stream gas pipeline. “No doubt, Borisov is aware of all these factors that come into play when setting up a gas hub”. Wrong assumption! No, dear Anca, you cannot imagine how simple is this man!